Take the classic ponytail from bland to glam! 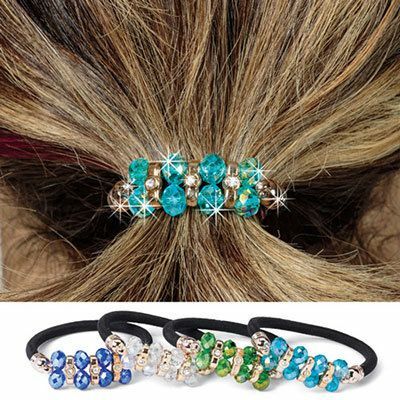 This Magnificent Gems Ponytail Holder features a double row of faceted crystals with gold-tone spacers that are accented with clear rhinestone on comfortable, no-pull black bands. Approx. 1½"w.